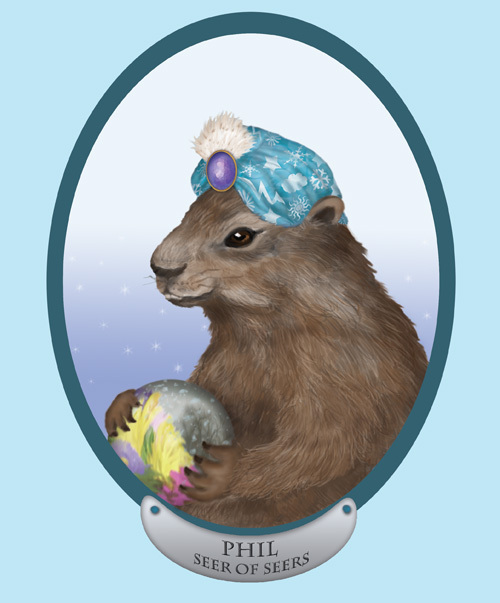 Phil’s main line of business is predicting both short and long-term weather patterns, but when the weather is nice and business is slow, Phil is known to dabble in providing advice to the lovelorn and assessing a client’s potential for acquiring wealth or fame. It is rumored that Phil has recently been retained by a trailing candidate in the current Republican presidential primary race to provide guidance as to how long he should tough it out before throwing in the towel. After it appeared that PETA’s mechanical groundhog experienced technical difficulties and proved incapable of discriminating between shadows on the ground and damp patches of soil, Punxsutawney Phil was given his weather-predicting job back, at least for this year. I invited Phil to come over after he finished work to help celebrate my birthday on February 2nd. I will be making margaritas and he’s bringing the healthy snacks. Virtually everyone knows the story of Punxsutawney Phil, the celebrated groundhog who lives on a hill called Gobbler’s Knob in a small town in rural west central Pennsylvania. 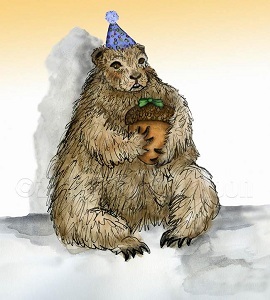 Every year on Groundhog Day, amidst much merrymaking and circumstance, Phil emerges from his burrows to check his shadow and address the assembled multitude for the purpose of announcing his weather prediction to the formally attired members of his inner circle, all of whom are proficient in Groundhogese and can translate on his behalf. If on February 2nd Phil fails see his shadow it can mean that spring is not far away. On the other hand, in the event he does see it, the prediction is that six more weeks of winter are in store. For the last three years, Phil has predicted a long cold winter. We hope that this year will be different. That is, if Phil is allowed to perform his duties, as he faithfully has for the last 120 years. You see, last year PETA successfully argued that Groundhog Day ceremonies were exploitative and that the event should be officiated by a more humane robotic surrogate. 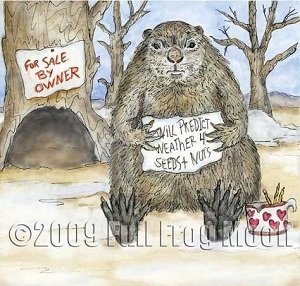 Suddenly, and without warning, Punxsutawney Phil found himself out of work and facing foreclosure. Insolvent and with few prospects for gainful employment in a declining economy, Phil has no alternative than to appeal to the charity of his followers and raise money in whatever way he can.